Watch full RWBY Season 5 Episode 3 full HD online. Cartoon video RWBY Episode 55 online for free in HD. Blake and her parents hold a press conference with the Faunus in Menagerie, rallying them to reclaim the White Fang by going to Mistral and help out the humans. Although Ghira gains support from the Faunus, Ilia interrupts Blake’s speech by denouncing her family as traitors and asking the crowd to support Adam instead. 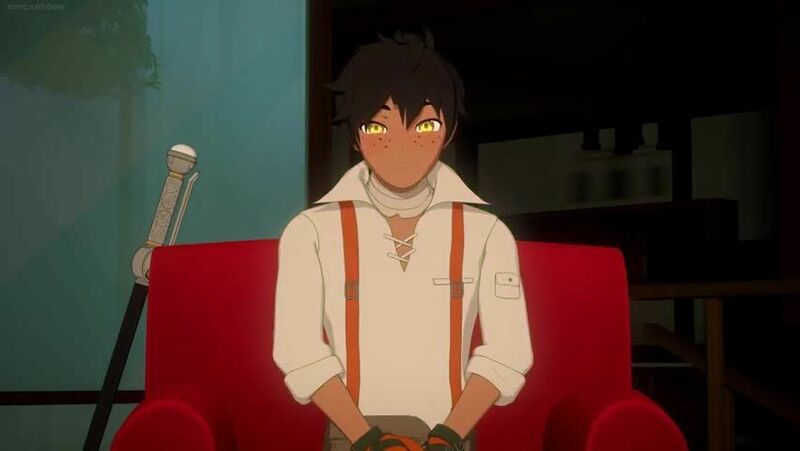 In Mistral, Ozpin, communicating through Oscar, explains to Ruby, Jaune, Nora and Ren that he is forced to reincarnate with different souls to defeat Salem. He predicts that she will attack Haven Academy in one month, and rather than depending on Lionheart, he decides to train the four and Oscar while Qrow looks for help. Weiss awakens to find herself in captivity by bandits and Vernal, a commander of Raven’s tribe, plans on offering her back to her family under a ransom. Weiss threatens them with Winter, only to find out that Ironwood has recalled his troops since Atlas closed its borders. Realizing she is on her own, she frees herself at night with the help of the White Knight.